Charged EVs published a very interesting article about Alta Motors' battery pack technology, that enabled it to achieve world's highest energy density in an EV. 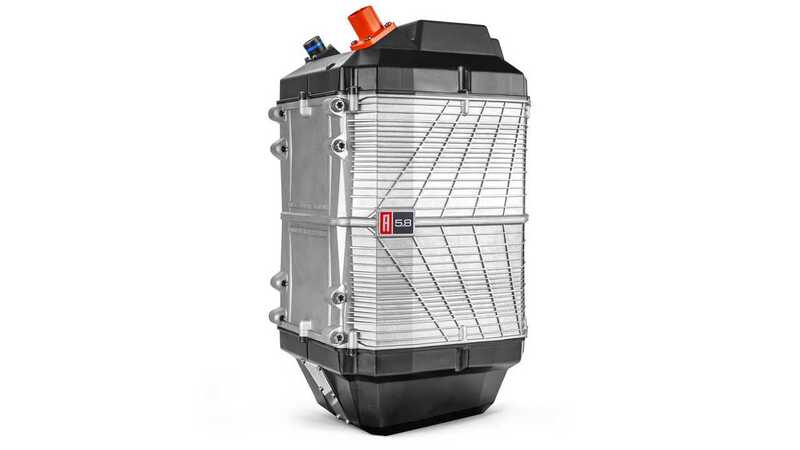 According to the Rob Sweney, Alta Motors’ Director of Advanced Powertrain, the 5.8 kWh battery in Redshift MX motorcycles is at around 180 Wh/kg density. It would be 20-30% more than Tesla Model S battery, but is expected on par with the new Tesla Model 3 (2170 type cells). Like Tesla in the Model S and X, Alta is using 18650 format cells, and is utilizing passive air cooling through a specially developed thermal design, with help of Wevo-Chemie (materials) and Scheugenpflug (custom production equipment). "Kevin Kim, Alta Motors’ Mechanical Engineer: Unfortunately we can’t disclose too many details about the interconnect system because it’s proprietary. I will say that the system allows us to very effectively cool the battery using passive (air-cooled) methods, with no need for liquid cooling. We describe it as being passively air-cooled, and it helps keep the weight down significantly. Passive cooling means that the thermal conductivity of the materials that surround the cells is very important. After some testing, we found that a two-part polyurethane from Wevo-Chemie (a German company for tailormade casting, bonding and sealing resin solutions) had the highest thermal performance, so it became a critical component in our system as an adhesive. For any battery pack, you have to balance the need to take away heat from the system while dealing with the high-voltage electrical challenge. Usually things that are good at conducting heat are also good at conducting electricity. Optimizing for those two goals is a fundamental challenge of any battery pack design, so this implementation with the Wevo-Chemie material is part of our solution to improve that tradeoff, because it conducts heat extremely well and at the same time has a high dielectric strength – so it’s also electrically insulating. It has good mechanical properties and is rated as flame retardant. It’s not super-stiff when it is cured, so it has mechanical give. And it was also cost-effective. All of these things made that a very desirable material." "Kevin Kim: Basically, the resin has the consistency of peanut butter – it’s extremely viscous or thick. Also, the hardener component of the two-part mixture has a very low viscosity, about the consistency of water. That, makes it difficult to dispense."